Moschino is launching its spring collection in miniature for a limited edition Barbie that will be available on Net-a-Porter from 9 November. 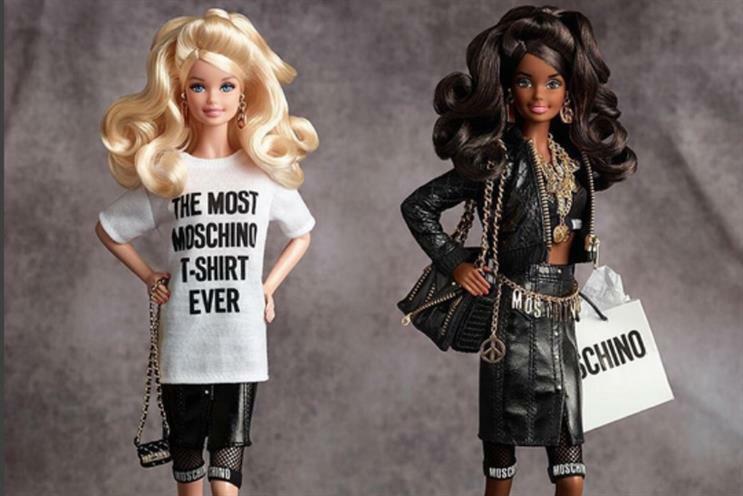 Details on Moschino Barbie are scant so far, but the doll comes kitted out with slogan t-shirts, black leather and chunky gold accessories. She launches with a retro commercial showing off her eight-piece wardrobe, perm and brick phone. For Barbie owners with wardrobe envy, and a wad of spare cash, Moschino is offering a matching, human-sized capsule wardrobe. The doll comes in at $150, while the new apparel will cost up to $1,595. This isn't the first time Moschino's creative chief Jeremy Scott has shown his appreciate for the kitsch children's toy. This time last year, Scott created Barbie-inspired dresses for his spring/summer 2015 collection. Has H&M lost control of its fashion collaborations?